You could say that the beaver built Canada. In fact, you could even say that without it, our country as we know it today might not exist. 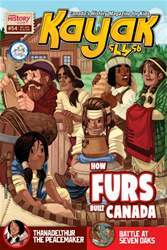 Discover how the fur trade shaped Canada.